We proudly support the Prostate Cancer Foundation, donating a portion from the purchase of every case of StarMed® PLUS™ Nitrile, StarMed® Rose and SemperForce® Nitrile. With over 95 years of manufacturing experience, Sempermed has long been a pioneer within the disposable glove industry. From our humble beginnings to ranking among the world’s largest medical and industrial glove manufacturers, we have always remained committed to supplying quality hand protection products. As a leading disposable glove supplier, we are able to leverage the latest manufacturing technology in quality and innovation. We continuously develop and test products designed to better serve the needs of our customers to ensure Sempermed’s hand protection products achieve optimal safety, reliability and quality. We’re Sempermed, and we are people protection. 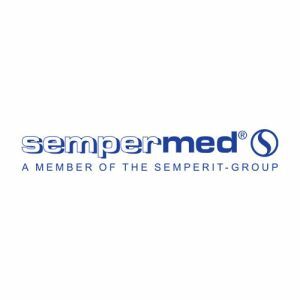 Sempermed USA is committed to working with nonprofit organizations both nationally and within our community. We proudly support the Prostate Cancer Foundation, donating a portion from the purchase of every case of StarMed® PLUS™ Nitrile, StarMed® Rose and SemperForce® Nitrile. The Prostate Cancer Foundation raises funds to support and accelerate prostate cancer research around the globe.